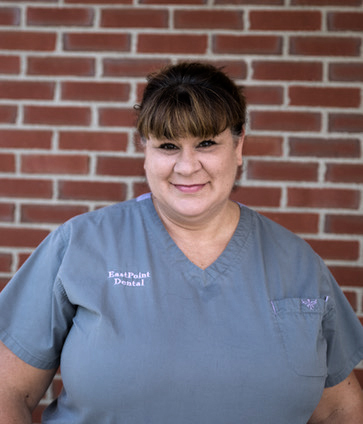 Eastpoint Dental | Dentist | Denise B.
Denise is a graduate of the Ohio State University dental hygiene program and also holds a Bachelor’s degree in health education. Denise has enjoyed my 15 years of service working with Drs. George and Kahan. Denise specifically enjoys meeting new people and helping them attain and maintain a beautiful and healthy smile. Away from the office, Denise loves spending time with her family and perusing flea markets.